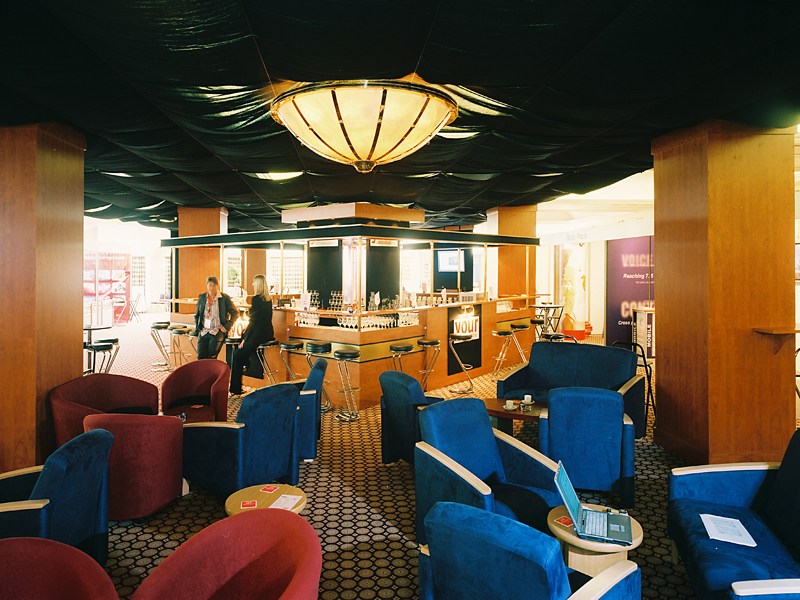 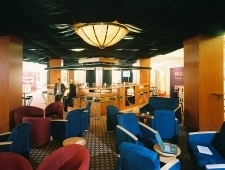 A place which provides internet access for conference or exposition visitors is a necessary part of every event. 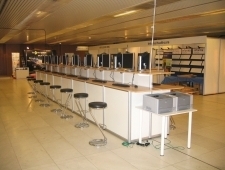 For such place we use either rooms inside the conference building that we furnish with suitable furniture and provide with internet connection or we build an extra place that can work also as a place where journalists work – a press room. 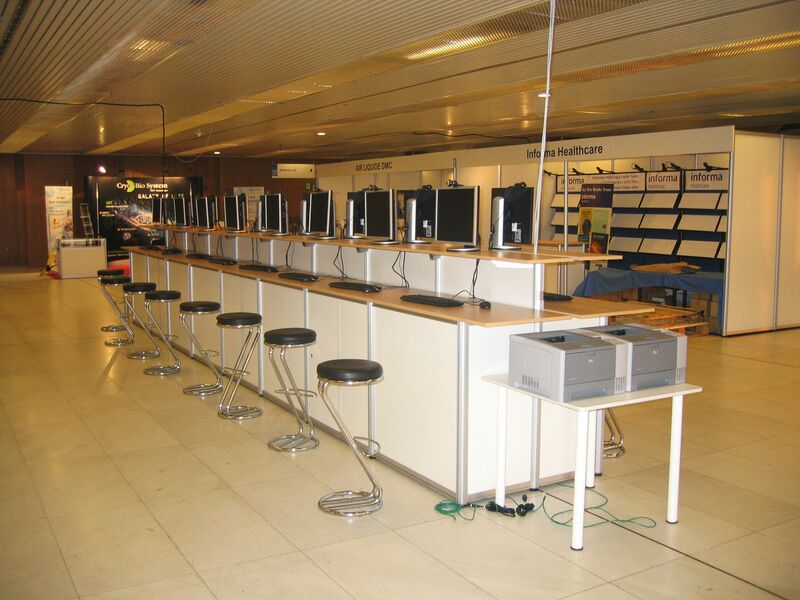 In case we build an internet café at some trade fair or exposition we provide a complete service for you. 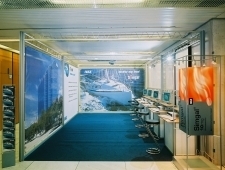 We prepare a visualization of the room, build it, provide water and electricity supply, internet connection, plants or flowers for decoration, lend coffee machines, computers and furniture and provide branding of the stand.